Perfect prop for a movie themed photobooth! Next time your are putting on a play or having a party this Hollywood clapboard is a must have. 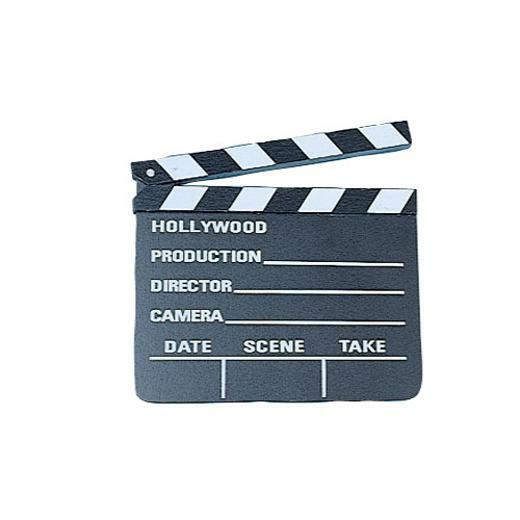 These wood clap boards are fun on movie or at Oscar night parties. Fill party favor loot bags with interesting novelties like these. You'll find a wide selection of novelty toy party favors at affordable prices. Stock up today for loot bags or carnival redemption prizes. L: 8.0 in. W: 7.25 in. H: 0.75 in.